Founded by former Yahoo and Google employees Daniel Raffel and Steve Krulewitz, iOS app Snapguide is announcing a $5 million Series A raise this morning, from investors Atlas Venture, Index Ventures and Michael Arrington’s* CrunchFund. This financing comes after a sizeable $2 million seed (more like a “pit”) round. 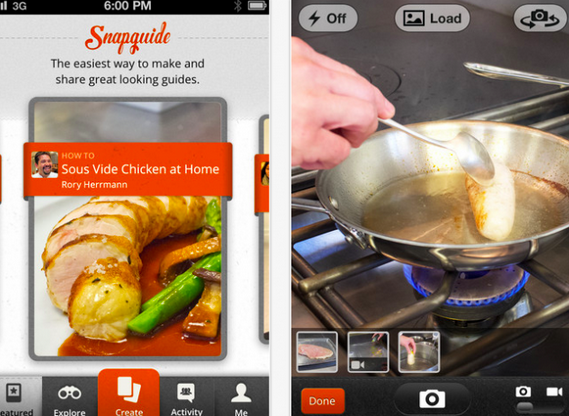 Snapguide’s simple UI makes it easy for users to build “How-To” guides via iPhone. Co-founder Raffel tells me that already the company has had 10K guides like “How to Make a Sock Bun” created since its launch this March, with millions of unique views spread among them. In the same space as Instructables or WikiHow, but more mobile-focused, the company is currently working on partnerships with “major” brands. We’ve also heard independently that the company received several acquisition offers, but decided to raise capital and expand instead. When asked if that app update included Android, Raffel told me that the company is currently “focused on iOS.” Sign of the times? *Disclosure: In case you’ve spent the past six years under a rock, Arrington is also the founder of this blog.